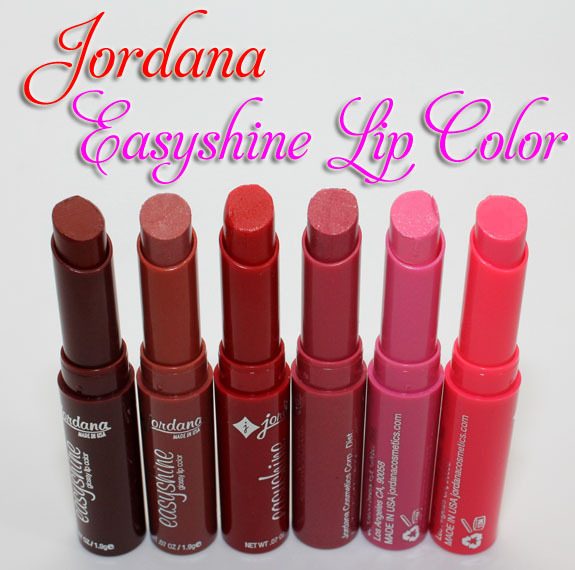 Jordana Easyshine Glossy Lip Color’s are kind of a hybrid of a lip gloss and a lip balm. They come in 12 shades and in 7 textures including Cream, Pearl, Frosted, Shimmer, Glitter, Metallic and Duotoned. 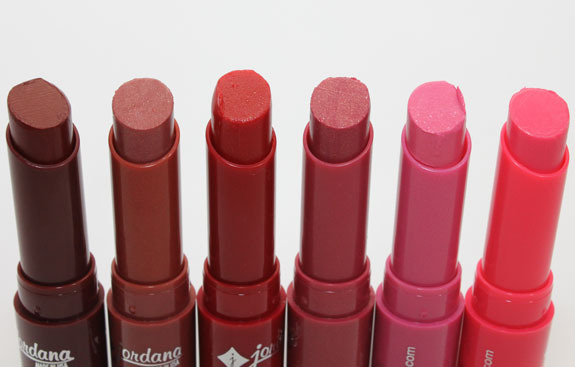 They come in slim twist-up tubes and the lip color is cut at an angle for easy application. However one caveat is that they don’t screw all the way down into the tube so you have to be careful when replacing the cap not to dent the actual gloss! They feel very moisturizing and apply really, really smoothly, like a lip balm would. But they have really great color payoff! See how nicely pigmented they are? I was really expecting a much more sheer wash of color. I was especially impressed with Sugar Plum! They are scented and flavored with what their names suggest. To me it’s not too much though and it does go away after a bit. They don’t taste plastic-y or weird like some drugstore lipsticks can. I think these are definitely worth the inexpensive price, and would be great especially for those who are looking for something moisturizing and easy to wear, that also has shine. What do you think about Easyshine Glossy Lip Colors? Kelly, how do these compare to the Revlon Lip Butters? Which do you prefer better – Lip Butters or these? Or is it a tie? 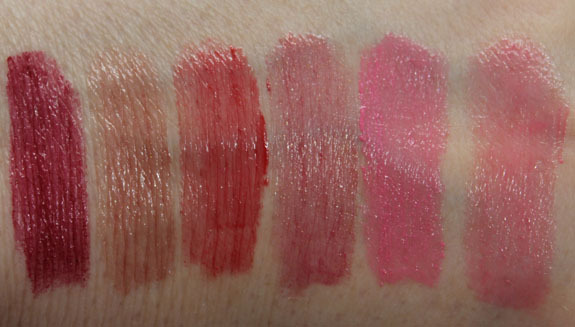 I prefer the Revlon’s a little more mostly because I like the color options better and they feel more like a lipstick. My Walgreens Jordana display is always empty. I could never get to their products in time. As fast they put stuff in it goes quick. Grrrrr. Yeah I have 4 of these (Strawberry, Berry, Watermelon, Raspberry) and they’re my best kept secret. I mean, how could you possibly go wrong with these? I can’t wait to get my grubby little paws on some of the other 6 that apparently Walgreens doesn’t carry. I especially like Sugar Plum and Berry Colada. I’m one of those girls who needs her chapstick and I LOVE THESE! I’ve only have a few polishes from this brand. These look pretty nice. Price is pretty good. None of the Walgreens in this area have Jordana- (unless it’s new this week, and I just haven’t seen it yet). I’m a total sucker for tinted lip balms! They ofer the best of both worlds if you ask me.